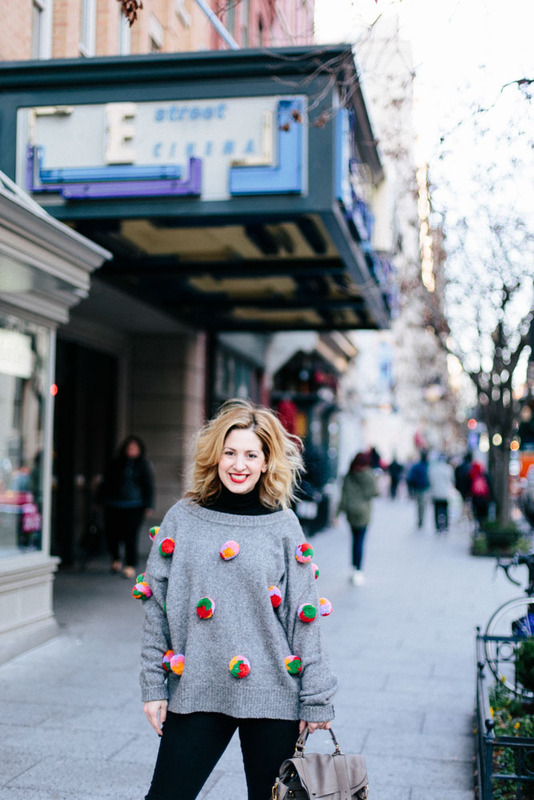 Tibi, one of my favorite designers, made a great sweater with little fur pompoms on it this Fall. By the time I got my act together to purchase it, the sweater was sold out. I was really bummed out, but decided it must not be meant to be. Then, I was perusing the Zara website and saw this fun sweater. 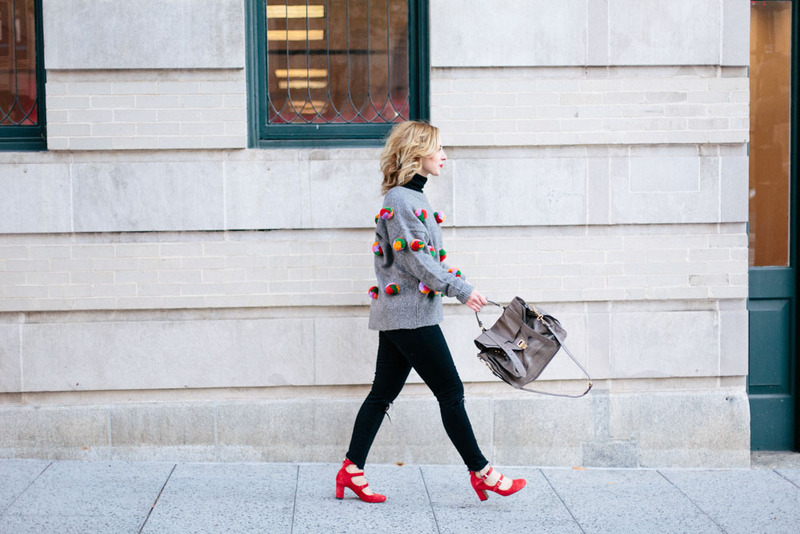 While it is definitely not the same, it is still covered in pompoms and fun to wear – what I was really going for! Politiquette Tip: Sometimes timing allows you to find something equally great AND that costs less! Photo Information: Photos taken by Anna Meyer at E Street Cinema.